Your boots need special attention to make sure they always look their best and the leather keeps in good shape. They protect your feet and help you enjoy skating, take care of them! After each use, dry your boots as needed with a soft cloth or towel, wipe them on the inside and outside. Remove the insoles, loosen the laces and pull the tongue to allow air to circulate and dry the inside of the boot. Let them air dry in an aerated space, do not keep them in your skate bag or in the trunk of your car. Allow them to dry at room temperature, away from heaters as they will damage the leather. Regularly brush lightly with a clean and dry synthetic brush to remove dirt from the outside of the boot. Using a soft cloth, apply shoe polish (of the same color) evenly to the external surface of the boot. Allow it to dry. Buff the boot and heel with a silicone-based spray to protect and give shine to your boot. While it is possible to produce a somewhat accurate size conversion chart to help you find the right size for your skate boots, it is true that the size you wear is likely to change from manufacturer to manufacturer, depend on the type of footwear you are using, and other similar factors. Perfect equivalence is difficult to guarantee. Remember, boot sizes do not necessarily match your shoe (i.e. sneaker) size, in that as the usage differs, the fit does as well. We at Botas Mora recommend to skip conversion issues and to focus on the measurement that matters the most: your own feet’s. We also offer you an illustrative conversion guide while, though approximate, it can be very useful. Place a sheet of paper on the floor, flushed against a wall. You may want to tape it to the floor so it does not move. Stand up straight, with one foot on the paper. If one of your feet is a little longer, place that foot on the paper. Make sure your heel is against the wall, so that it is lined up with the edge of the paper. Draw the shape of your foot on the paper. Ideally, you should ask someone else to draw it for you. 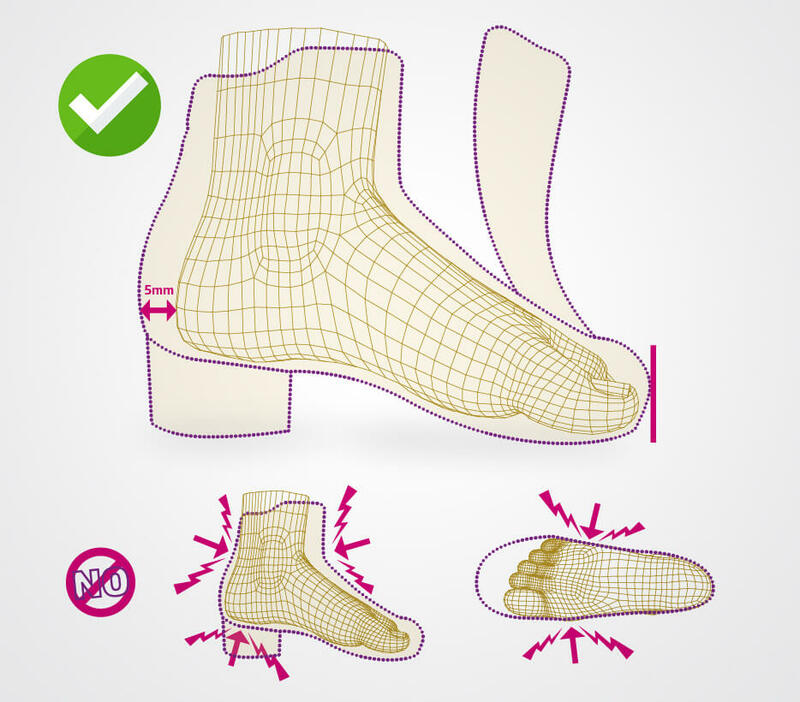 Measure the heel-to-toe length, the distance between the heel and the longest part of your foot. Note: While you may use any unit that you wish, it is more accurate to measure in centimeters or millimeters. In the chart below, locate your foot length. If you don’t find an exact match, round up your foot size to the next number. Point your mouse (or, on your mobile, tap) on your foot length below—it it will be displayed in red. For adults, choose the next size up (displayed in green), that will be most people’s normal boot size. The extra 5mm provide wiggle room and comfort. For children we recommend two sizes up (shown in blue) to allow for growth. Order your boot using the corresponding millimeter value. Feel free to contact us before your purchase to consult on sizing and measuring. This chart is provided for guidance only. We recommend that you measure your feet in order to identify your size.